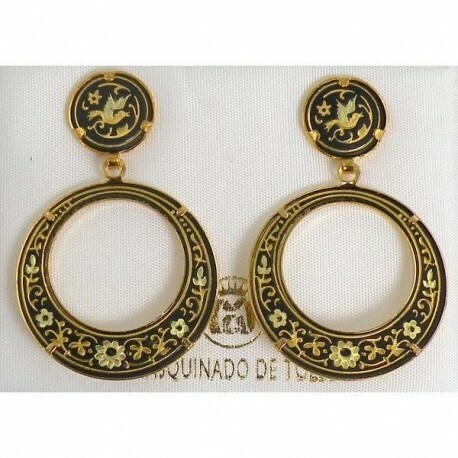 Damascene Gold Bird 28mm Round Drop Earrings. Damascene Jewelry by Midas of Toledo Spain. 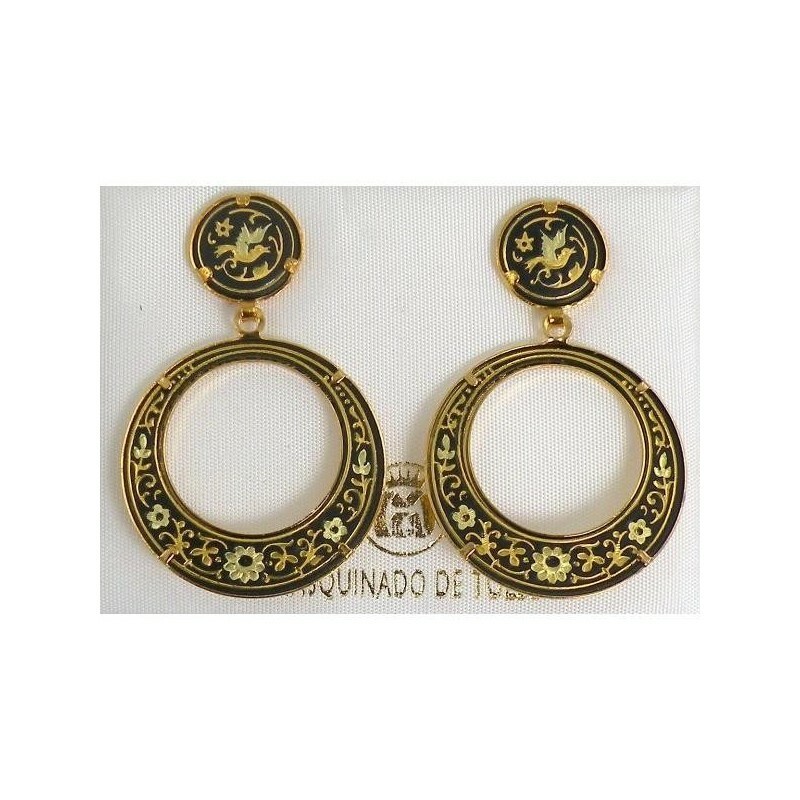 Golden Earrings. Damascene Womens Jewelry. Beautiful pierce drop earrings with handmade gold damascene design work featuring a bird and flora design. These earrings have a drop measure of 28 mm and are round in shape. These earrings have a stud measure of 12 mm and are round in shape.